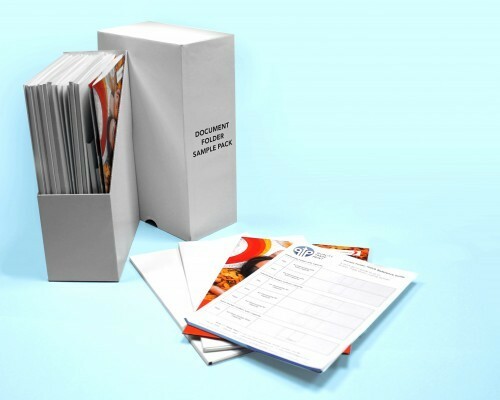 Flexpress produce thousands of document pocket folders every week. You can choose from over twenty standard styles with and without lamination and business card slots so you'll always be able to pick a style you like without the extra cost of a cutting form. And, because we produce the whole thing in-house, and can usually dispatch the next working day, we think this is the fastest document pocket folder service around! Our lowest priced document pocket folder which holds approximately 10 sheets of 80gsm paper and comes flat packed for easy self-assembly. 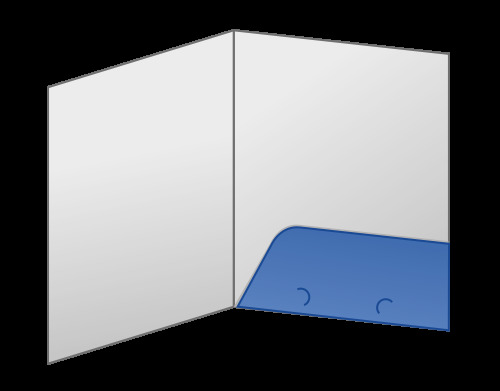 An alternative design of interlocking pocket folder with 5mm of capacity to hold more documents. 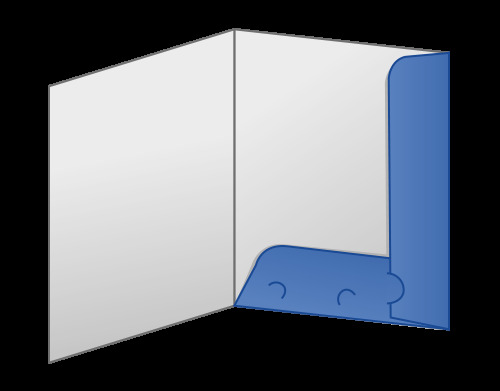 Comes flat packed for easy self-assembly. A fully assembled, professional looking document pocket folder with a glued pocket which holds approximately 10 sheets of 80gsm paper. 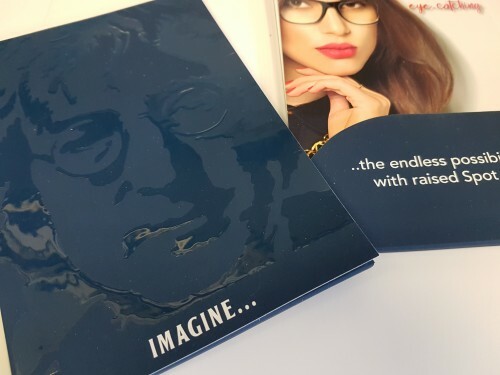 If you really want a folder to impress then this glued, fully assembled option comes with or without capacity and has our super raised gloss UV highlighting as standard.